If you are looking for a real estate agent that truly cares about your home buying and selling experience, you have found the right person in Liz! With 20 years of customer service experience and understanding of client’s needs, Liz is committed to delivering superior service as you experience fulfilling your dream of home ownership.? ?Liz believes in Honesty and Integrity, and the kind of service that will earn your trust, respect, and your future business!” "The greatest satisfaction in my career is helping my clients attain their real estate goals by educating them in the current market and looking out for their best interests. ?I am a strong advocate for my clients and I am committed to establishing and maintaining long term relationships." Liz grew up in a suburb of Chicago and graduated from Winona State. After attending school in Winona, Liz fell in love with Minnesota and has called Minneapolis home ever since. 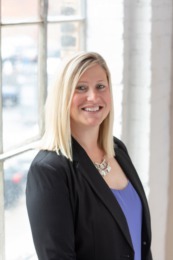 When not assisting clients, Liz enjoys cheering on her sons lacrosse team, cycling, and spending time with family and friends at any of Minnesota’s 10,000 lakes.